. @TIME Magazine should definitely pick David Pecker to run things over there – he'd make it exciting and win awards! In exchange for immunity, Mr. Pecker, CEO of American Media, Inc., has met with prosecutors and shared details about payments Mr. Cohen arranged in an effort to silence two women who alleged sexual encounters with Mr. Trump, including Mr. Trump's knowledge of the deals, some of the people said. Prosecutors have indicated that Mr. Pecker won't be criminally charged for his participation in the deals, the people said. 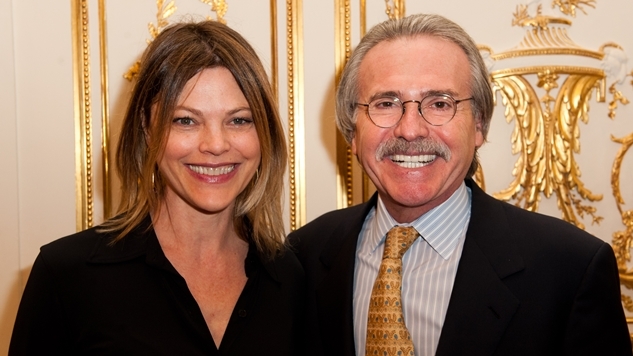 Mr. Pecker has previously said he is a longtime friend of Messrs. Trump and Cohen. Between the dual guilty plea and conviction of Michael Cohen and Paul Manafort this week, and now this hilariously ironic and perfectly-timed heel turn, it sure feels like our reality is being scripted. David Pecker “flipping” on Trump is a big, big deal. He owned the media company which squashed the Karen McDougal payment, and if he was granted immunity, we can safely assume that there is much more of Trump's dirty laundry hidden in his closet. As I wrote this morning in my theory of where the Trump investigations are headed, Trump's biggest problems have been his self-inflicted wounds, and there is no reason to believe they won't continue into the future. Again, he confessed to a crime yesterday on Fox News in response to the Cohen guilty plea. Things are going to get a lot darker and a lot dumber, folks. We have reached the tip of the idiot iceberg.